This luxurious treatment infuses oxygen , plant derived steam cells, peptides and a high concentration of enzymatic botanicals into the skin leaving it luminous , refreshed and rejuvenated. Anti-Aging $95 Incudes: Antioxidants, Peptide and Enzyme Mask and pure grade Essential Oils. Combined with upper body and head massage, extraction of impurities, exfoliation, and steam to firm, tighten, deeply clean, and detoxify the skin. Truly a skin rejuvenating experience. Designed for skin needing deeper exfoliation, extensive extraction of impurities and rebalancing. This facial gets you back on track to cleaner, healthier skin that glows. Acne and hormonal breakouts, pimples, black heads, white heads, exfoliation, calming and rehydration are all addressed in this detoxifying treatment. Rosacea/Sensitive Skin Facial $85 If you are prone to Rosacea, Acne Rosacea, sensitivity, redness and broken capillaries, this calming, soothing, anti-inflammatory facial is the one for you. Half an hour skin care treatment designed for young skins which deep cleanses, exfoliates and gives radiance to the skin. European Facial $85 A complete customized and constructed facial program to treat individual skin problems including deep cleansing , manual exfoliation, extractions, relaxing face, neck and decollete and shoulder massage, masque, moisturizing and toning. It also repairs, rejuvenates and regenerates cell renewal. An effective treatment to help diminish fine lines, wrinkles and pigmentation,reduces acne scarring, enlarged pores and improves sun damaged skin. It treats skin concerns like ageing skin, black heads, on both face and body. The Aromatic Facial is a soothing treatment, which incorporates essential oils, plant concentrates and massage to hydrate, balance and energize the skin. Plant concentrates are rich in active ingredients which feed the skin essential vitamins and nutrients, the essential oils relax the body and mind while caring for the skin. Reduce the signs of aging with this non-invasive treatment that uses state of the art microcurrent technology with cutting edge ingredients to smooth the skin, lift the tissues, and tone facial muscles. This fabulous treatment is a physical, manual exfoliation of the skin,removes the outer most layers of dead skin cells,as well as vellous hair(peach fuzz) leaving the skin immediately smooth and supple. Derma-blading is another non-traumatic method of skin rejuvenation. It is often used in preparation for chemical peels or facials. The procedure is safely performed with a sterile blade held at a 45 degree angle and stroked along the skin. This is a very safe procedure when performed by a trained professional. Blading removes about 3-4 weeks worth of dead skin cells and hair, making this a perfect procedure for dull skin, fine lines, and fuzzy faces. The vellous hair does not grow back darker or thicker this is physiologically impossible. LED is a painless skin care treatment that plumps up aging skin by boosting collagen production and treats mild to moderate acne by killing the bacteria responsible for breakouts . 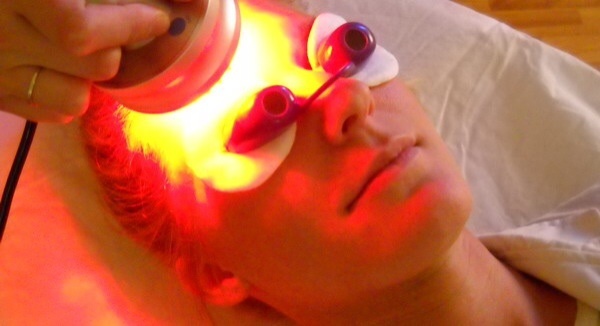 LED stimulates the fibroblasts that produce collagen , minimizes fine lines , wrinkles , treats sun damage , reduces redness . Safe for mommy to be and baby to. This specialty facial addresses hormonal breakouts and stressed skin. A safe and effective skin care line is combined with a sensitive skin cleanse, exfoliation, steam, facial massage and rehydration. Mommies to be crave about this treatment, finally something just for you! This makes a great gift. Effectively treat surface lines, acne, environmental damage, textural problems and pigmentation. In chemical peels, unique blends of safe, though effective peel ingredients cause chemical exfoliation of your epidermis (outer layer of the skin). Skin regeneration following chemical peels results in a fresh, organized, healthy epidermis. You will notice a smoother and more even complexion and an improvement in pigment changes. This renewal process has been clinically proven to help reduce pigmentation problems and stimulate collagen production. Purchase a package of 3 for $ 270 and get one free. Dark Chocolate Vit. C Brightening Facial Mask $85 Indulging in a chocolate facial mask is a luxurious experience that can feed your senses and your skin at the same time. Dark chocolate contains vitamins, great for absorbation of calcium , tissue growth and releasing energy consumption of high flavanol cocoa and help improve the appearance of skin by improving the function of blood vessels , increasing blood flow, increasing hydration, decreasing skin roughness and helping to increase defense against UV damage. Formulated with 15% enzyme and fruit acids,the high concentration of vitamin A in the Pumpkin Peel provides a mild retinoic acid benefit, accelerates exfoliation, lightens hyper pigmentation and detoxify congested skin, feeds the skin with vital nutrients to reveal fresh , vibrant -looking skin. Reduces the appearance of aging , sun damage and hyper pigmentation , leaving the skin renewed and refreshed, followed by a paraffin mask and hand massage. Hydradermabrasion is a gentle and effective exfoliating treatment that uses the jet peel machine .The treatment works to drain your lymphatic system , removing any toxins and exfoliating your skin , removing the dead skin cells and blackheads , whilst also working to smooth out fine lines and wrinkles and plump the skin. Using the Dermatude Meta-Kect FX 80 and the hand piece with ultra thin needles are micro-perforation made in the skin. This treatment is not painful. The skin will repair this invisible micro-perforations immediately and will produce collagen and elastin, so the natural repair mechanism of the skin comes into force. The skin is from the inside restored by cell regeneration, a completely natural process that does all the skin itself. The treatments are performed with serums subjectables, each with their own specific operation as previously described , during treatment with microneedles into the skin.